First, I would like to remind you that we have a Victims of Communism Memorial right here in Washington, D.C., within view of the U.S. Capitol. The memorial was dedicated by President George W. Bush on June 12, 2007. It is dedicated to more than one hundred million victims of communism. This figure is four times the number of victims killed by the Nazis in World War 2. Victims of Communism include those who were killed, starved, massacred in Russia, Ukraine, China, Cambodia, East Germany, Poland, Ethiopia, and in the Vietnam war. They could be Vietnamese or Cubans who drowned in the ocean while on the way to seek freedom. Currently, four communist countries remain around the world: Cuba, China, Vietnam and North Korea. To learn more about the monstrous crimes of communism, I invite you to read “The Black Book of Communism (Crimes, Terrors, Repression)” by Stephane Courtois, in which you can find thousands upon thousands acts of terrorism, repression and killings. Millions of copies of this book were sold in a short period of time. Let me go back to the case of Vietnam. South Vietnam was annexed, not by the people’s uprising but by Communist tanks and guns on April 30, 1975. That date is considered to be an unprecedented life changing event throughout Vietnam’s four thousand year history. Only days after the occupation, the middle class families in South Vietnam were devastated, they were forced to surrender all their cash to the new government. 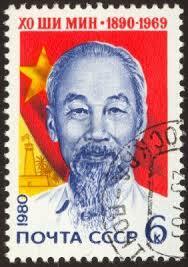 Each family received back 200 Vietnam dong, the new type of currency; the rest were confiscated by the new government. South Vietnamese who served in the military or were civil servants or intellectuals were deported to various concentration camps to perform hard labor tasks, to produce their own food under the supervision of cruel communist guards. Hundreds of thousands of people were detained in thousands of these so called “re-education camps” set up across the country. Many of them were locked up for more than 20 years, tens of thousands of them died of hunger, cold, illness, and exhaustion from hard labor, as they lived and were treated like animals. Their wives and children were evicted out of their homes in cities, they had to go to remote areas called "The New Economic Zones," where they had to build their own houses and produce their own food from scratch, using basic tools like shovels, hoes, hammers and so on. The truth is the Communist victors just wanted to retaliate and impoverish families of those who had served the former regime. Throughout four thousand years of history, the Vietnamese were invaded many times by the Chinese and colonized by the French, no one ever had the idea to leave the country. And yet, when the war ended in 1975 with the victory of the North, millions of people desperately tried to look for ways to escape the new repressive regime, with its dictatorship and oppression. Forty-One years have passed, but currently, basic human rights are still being violated, there are no basic freedoms at all. Hundreds of thousands of people have lost their lives in search of freedom. Vietnam today is one of the most corrupt countries in the world, it is among the ten top countries that stifle freedom of the press, and I understand that some U.S. Congressmen have suggested putting Vietnam back on the list of Countries of Particular Concern, or CPC, because of lack of religious freedom. The Vietnamese people's per capita income now is about Twenty-One-Hundred U.S. dollars a year. Currently, there is an environmental disaster with thousands of tons of dead fish along the country’s 200 miles of coastal areas, which put millions of people at risk of hunger. I would like to thank the Colonial Republican Women’s Club for giving me the opportunity to tell the truth about communism and thank all of you for listening. In 1966, started as a newscaster with The National Radio & Television Network in Saigon, Vietnam. During the Vietnam War, he joined the Air Force in 1968, rised to the rank of Executive Officer to the General Chief Of Staff in 1974. When the Communists invaded South Vietnam in April 1975, he was detained in many labor camps throughout Vietnam for 6 years. To the US in 1997 working for Radio Free Asia as a reporter, journalist in Washington DC. Retired in 2013, he continues to work in the media arena with Vietnamese Public Radio & Television to promote democracy, freedom and human rights in Vietnam.